Why go thru all the hassle of unplugging those wires and hauling your computer off to the repair shop or having somebody sit in your house for hours while they attempt to fix it???? A recent survey revealed that 99% of home computers are not running as fast as they could be and 74% of home computers are compromised by a virus or other malicious program. A virus or spyware can corrupt your personal files or even steal your identity. Even if you think that your anti-virus program is running fine, it could be corrupted and not working properly. Just to be on the safe side and make sure your not the victim of dangerous viruses, give us a call and let one of technicians run a Virus Scan on your PC! We provide a broad spectrum of services including: PC tune up, laptop jack repair, networking, secure and encrypt your home wireless network, media centers, computer and stereo sound systems, circuit board repair, upgrades, and many others. 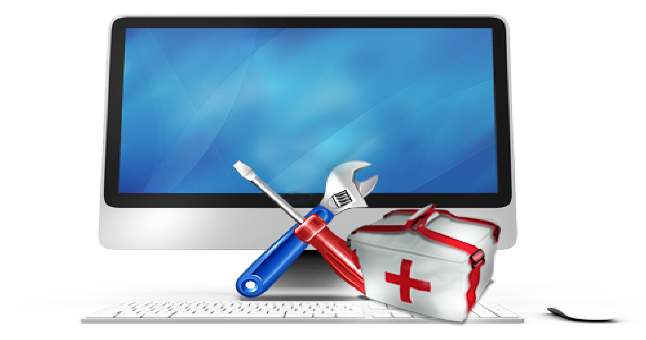 "@Home Computer Repair is what I count on when I need quick and good priced computer service. "- Kellie J. "@Home Computer Repair is my number one choice!" Brent G.
"Loved my service. Thanks for everything. Will be calling again! - Ingrid"